Things We Forget: 996: If it's good, it's wonderful. 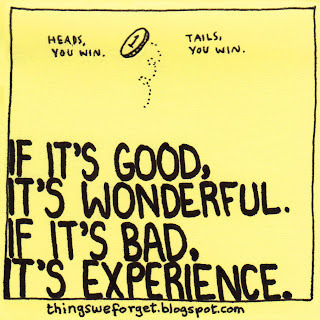 If it's bad, it's experience. 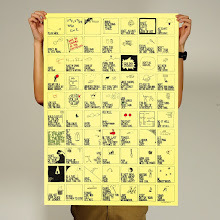 996: If it's good, it's wonderful. 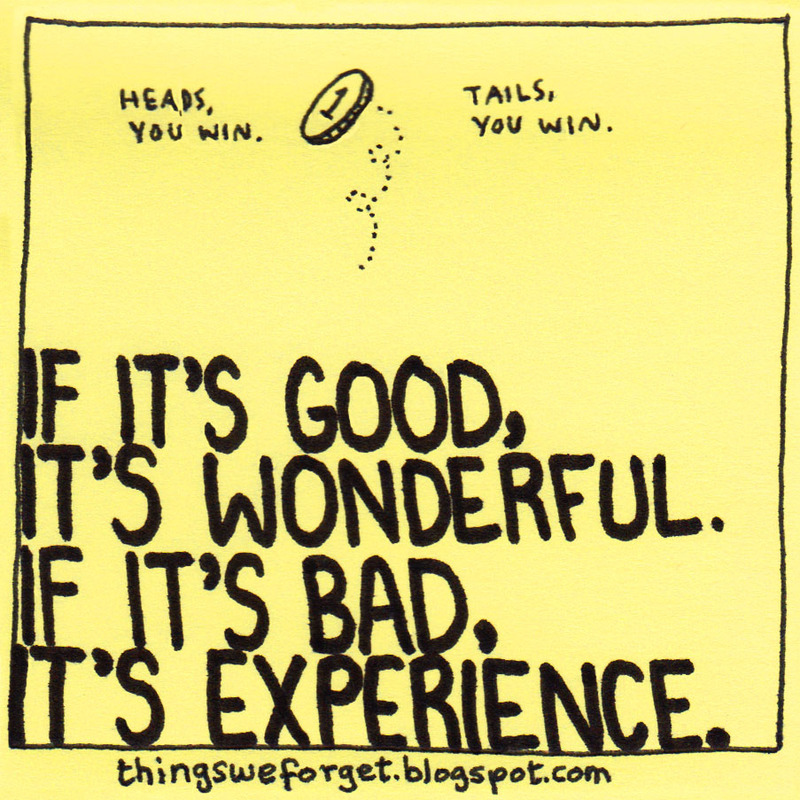 If it's bad, it's experience.